Last week in Toronto, at the American Psychiatric Association's 2006 Annual Meeting, medical researchers presented data to their peers on a recently completed study of US Army combat veterans. The study revealed a connection between the incidence of PTSD and decreased physical health. The American Psychiatric Association (APA), the leading psychiatric medical society in the United States, convenes its 159th Annual Meeting this weekend in Toronto, Canada, from May 20-25. ... The APA Annual Meeting, which assembles during Mental Health Month, continues to be the largest gathering of psychiatric physicians on the globe and attracts more than a thousand clinical papers, symposia, new research poster sessions and workshops. Combat troops meeting the criteria for post-traumatic stress disorder (PTSD) who are still on active duty are much more likely to have physical health problems than their comrades, according to research presented here. Most earlier studies of PTSD have focused on veterans many years after they have returned from combat and found strong associations between the disorder and poor physical health, said Artin Terhakopian, M.D., of the Walter Reed Army Medical Center in Silver Spring, Md., at the American Psychiatric Association meeting here. The new research is on active duty personnel—"working soldiers"—he added. The researchers studied 2,863 soldiers of U.S. Army combat brigades that had been rotated back to the U.S. after duty in Iraq, Dr. Terhakopian and colleagues found dramatic differences between the 16% who were diagnosed as suffering from PTSD and those who were not. Using an anonymous survey a year after the soldiers' return from combat duty in Iraq, Dr. Terhakopian and colleagues examined PTSD symptoms, self-rated health, sick call visits, and missed work days, as well as physical symptoms evaluated on a 15-point Patient Health Questionnaire (PHQ-15). Dr. Terhakopian noted that the study was cross-sectional, so that no conclusion can be drawn about whether PTSD causes ill health or vice versa. But he added that the clinical implication is that veterans with ill health without other obvious causes should be suspected of suffering form PTSD and offered treatment. The Walter Reed researchers did not report the effect of injury on PTSD, but scientists from the Naval Medical Center at San Diego showed that battlefield injuries are more highly linked to PTSD than the usual run of medical conditions that can cause soldiers to be evacuated from a war zone. In a retrospective chart review, David Oliver, M.D., and colleagues at the center, analyzed the relationship of PTSD with both branch of service and reason for being evacuated from the war zone. Since 2004, the San Diego center has been the receiving station for military personnel medevaced from Iraq, he said. The majority of the personnel with PTSD or acute stress syndrome were marines, Dr. Oliver said, and most of the remainder were sailors, many of them hospital corpsmen. However, there was no statistically significant link between branch of service and the chance of having PTSD, he said. On the other hand, the researchers found, there was a significant link to the reason for evacuation. Those who came home because of a battlefield injury or for psychiatric reasons were significantly more likely to suffer from PTSD, compared to those with non-battlefield injuries or other medical circumstances. Specifically, 26% of those with battlefield injuries and 48% of those with psychiatric issues had PTSD, compared with 17% of those with non-battlefield injuries or other medical concerns. A year after combat soldiers leave Iraq, those with symptoms of post-traumatic stress disorder say they're in worse physical health, suffer more pain and are more likely to miss work than veterans without PTSD symptoms, according to a military study out Monday. Anxiety can contribute to these health problems, Hoge says. Also, nightmares and flashbacks — symptoms of PTSD — can interfere with sleep, leading to worse health, he adds. About one out of five soldiers without PTSD symptoms said they were in fair to poor health, compared with nearly half of those with PTSD symptoms. Soldiers are screened for mental and physical problems when they leave Iraq, then three and six months later, Hoge says. New "practice guidelines" are alerting military and Veterans Affairs doctors to possible ties between physical and mental symptoms in soldiers, says Charles Engel, director of the Deployment Health Clinical Center at Walter Reed Army Medical Center. Soldiers sometimes downplay their stress reactions, so the number of soldiers with PTSD who also have physical health problems is, "if anything, conservative," says psychologist Charles Figley, a traumatic-stress expert at Florida State University. "When they come in with back pain, doctors are going to have to keep asking what happened to them in the war, not just now but five years from now." There's strong evidence in civilian studies that trauma survivors use more health care at a higher cost, says University of Tulsa psychologist Elana Newman, who has studied health and traumatic stress. As the costs associated with warfare mount, we need to be vigilant in our advocacy for proper veteran healthcare funding. A number of weeks back, I was contacted by Penny Coleman. She's the author of the thoroughly provocative and deeply researched work, Flashback: Posttraumatic Stress Disorder, Suicide, and the Lessons of War. The overwhelming evidence proves beyond a doubt that war is a disease that kills and maims, not just by tearing apart soldiers' bodies, but also by ravaging their minds. In every war American soldiers have fought in the past century, the chances of becoming a psychiatric casualty were greater than the chances of being killed by enemy fire. In a small park at the center of the town of Butler, the county seat, a collection of stone memorials speaks to the disproportionate sacrifices this small county has made in America's various armed conflicts: 321 dead in World War II, 60 more in Vietnam. Even the name of the county and town honor a fallen soldier: Maj. Gen. Richard Butler, a Revolutionary War hero who was killed by Miami Indians at the battle of the Wabash in 1791. Usually it has been Butler's youngest factory workers and farmhands who have been called to arms. But that changed in the winter of 2004, when the local detachment of the Pennsylvania National Guard — Alpha Company, First Battalion, of the 112th Mechanized Infantry Regiment — was ordered to Iraq, part of the largest battlefield deployment of the National Guard since World War II. Among the 200-odd men of Alpha Company (unlike some other National Guard units, they were all men) fully two-thirds were married, more than half had children and at least 50 were over the age of 30. Even within this demographic, Chuck Norris was something of an anomaly: at 37, the father of three was one of the "old men" of Alpha Company. Chuck Norris' road to enlistment is covered, as well as how the small business owner eventually found his way to Iraq. As a result of a recent merger with another National Guard garrison in Ford City, 22 miles down the road, the company was overstaffed, giving the military the luxury of cherry-picking some 130 men from the 200-man unit, depending on their specialties. Among those excluded from the roster was Sgt. Chuck Norris. "That came as a real blow," he told me, "because here all my buddies were going over, and I was supposed to stay home." When Norris heard the news, he went to meet up at the American Legion hall with his best friend in Alpha Company, Carl Morgain, a fellow sergeant, to discuss the situation. At first glance, the two seemed an unlikely pairing. Norris was gregarious and outspoken, while Morgain, an electronics technician for the T.W. Phillips Gas and Oil Company and the father of two, was an intense and deeply private man with a wry wit. Still, Norris had developed a bond with Morgain, who was two years older, in the time they had spent together in Alpha Company. "A lot of what you do in the Guard is a real grind," Norris explained. "Hiking, sweating, being eaten by bugs. But those experiences also have a way of bringing you close. And one thing Carl and I always talked about was that if it ever came to a deployment, at least we'd be going over there together." Except that in the call-up for Iraq, Morgain was on the roster and Norris wasn't. Norris would eventually get an assignment, and the two men went to desert-warfare training together in Fort Bliss. The two would not get their wish to serve together, however. As it turned out, though, the two friends were not going to be together. Morgain and the rest of Alpha Company pulled into Forward Operations Base (F.O.B.) Omaha in Tikrit, Saddam Hussein's hometown, while Norris and his recovery team continued 30 miles up the road to F.O.B. Summerall in Baiji. "I didn't really know what to expect," Norris said. At first, he recalled, "it all seemed kind of mellow. Nothing happened on our drive up from Kuwait, and from what I'd seen on the news about Iraq, I figured everything was pretty much under control." That assessment changed a few days after his arrival, when Norris and the rest of his eight-man recovery team were led into the back room of a maintenance shed on the base by the team they had come to replace. One veteran had a laptop on which he had stored images of the missions his unit had gone out on. "You're going to see things out there no one should ever have to see," the departing team leader told the new arrivals. "You need to tow a vehicle — you'd better be prepared to reach through a man's intestines to put it in neutral." As the grisly images scrolled by on the laptop — the aftermaths of car bombings and mortar attacks and roadside explosions — Chuck Norris gradually realized that he had no idea what he was getting into. As things became more dangerous for Norris, the same escalation was occurring in Morgain's unit. For Morgain, the steadily mounting number of attacks on Alpha Company began to harden his views on the war. As a Humvee gunner, he occupied the most dangerous position on the vehicle, but it was also the one that allowed the most face-to-face contact with ordinary Iraqi civilians, and this provided him with a unique window onto the baffling complexity of the place. At first, he enjoyed clowning with the children who would crowd around his Humvee, but as the months passed and tension mounted in the area, he recognized some of those same children among the ones now throwing bricks and pipes at him. On one occasion, he distributed shampoo to a group of grateful women in a village outside Tikrit; returning a few days later, he discovered that the women had been beaten by their husbands for accepting gifts from the Americans. Norris, too, had come to understand that his presence was not appreciated, or worse. His officers, he told me, "were always drumming into us: 'Hearts-and-minds, hearts-and-minds. We've got to win these people over."' He gave a laugh. "These people just wanted us dead." One peculiarity of the battlefield was that though separated by a mere 30 miles, Norris had very little interaction with his Alpha Company buddies down in Tikrit. While his recovery missions frequently took him to F.O.B. Omaha, it seemed that his closest friends were always out on patrol when he arrived. One person he never saw there, he said, was Carl Morgain. "In fact, the only time I saw Carl through the whole deployment was when I was coming back from leave," he told me. "I was at a base down-country, waiting to catch a ride up to Baiji, and I'll be damned, the guys pulled in and Carl was with them. Well, we hugged, of course, and talked for a few minutes, but then my ride came and I had to go." Carl Morgain never made it home. When Norris eventually did make it home, he quickly learned things weren't going to go quite as smoothly as he might have liked. At first, his problems had been fairly subtle, not much different from the reimmersion issues other Alpha Company soldiers were dealing with: a reluctance to be in crowded places, a heightened startle reflex, a tendency to watch the side of the road for anything unusual, as if even in rural western Pennsylvania a roadside bomb were still a possibility. Then, some three weeks after the homecoming, came the morning that Norris woke up to discover that everything had grown much worse. "It was the weirdest damned thing," he told me. "I didn't want to get out of bed. I didn't want to leave the house. I didn't want to do anything. I knew something was wrong, so I went up to the V.A. hospital." Doctors there quickly diagnosed post-traumatic stress disorder, or PTSD. The piece goes on to include a number of important points revolving around the added stress and difficulties for National Guard (or Reserve) members compared to the more traditional combat forces of the Army or Marines. Martin A. Sweeney, a behavioral-health social worker at the V.A. hospital in Butler and a Vietnam veteran, estimates that the rate for National Guardsmen returning from Iraq may ultimately surpass the 30 percent mark seen among Vietnam veterans. "The way this war is, everyone is free game and there's no back-base," Sweeney explained. "You have to be very aggressive, very vigilant, and you live that way day in and day out for a year, and when you come back here, you can't just turn that off. On top of that, the National Guard guys never really signed up for this. They'll all tell you they were proud to serve, that it was their duty, but the fact is, when they joined up, they thought they'd be dealing with floods and local disasters. They never thought they'd be part of the regular Army and put in the middle of a war zone." Compounding the problem is that, once home, National Guardsmen are largely left to their own devices. "If you're a regular soldier," Sweeney continued, "you come back to a base that has all kinds of support services available. But if you're National Guard, what do you do? You come into Fort Dix, you spend a week doing demob there, you come back to your armory and — bingo — you're back in the community with families that have no idea of what you've gone through. That's where I see the problems coming. When these guys get back here, they're essentially on their own." By mid-December, six weeks after their homecoming, the men of Alpha Company seemed to be confirming Sweeney's concerns. One of the first things Chuck Norris said to me was that perhaps the hardest part of being home was his inability to describe Iraq — and along with that, of course, an inability to explain its effect on him — to anyone who hadn't been there. "Sure, you can tell them stories or whatever," he said, "but unless they were there, they're not really going to get it." This same sentiment was echoed by every other member of Alpha Company I spoke with. One of them was a 33-year-old sergeant named Ron Radaker. "It's just very hard, very stressful," he told me, sitting in a coffee shop near his factory workplace in East Butler. "I mean, it's great being back with my wife, spending time with my kids, but in other ways. . . well, I guess I kind of miss it. I miss my fellow soldiers. I miss the camaraderie. And I don't mean to sound arrogant when I say this, but I miss the power. Over there, when we would do a patrol and have a car approach us and we fired warning shots, that's a thrill, that's power. Over there, everybody knew we were there. We were the king of the road, and they either respected or hated us for it. And now you're back here, and you ain't king of nothing. That's very hard to explain to anyone else, but it's why I try to avoid these situations that set me off — like being in crowds or people doing stupid things on the road — because when that happens, I get hyper, and I don't like being hyper here because there's nothing I can do about it." Just after Christmas, Chuck and Alecia went on a retreat with five other couples from the Baiji recovery team to a resort outside Pittsburgh called Seven Springs. For three days, the couples stayed in one large chalet, ski-tubing and going on sleigh rides in between long sessions of the men sitting around swapping war stories. "That was really great," Norris said afterward. "It was just so nice to see the guys again, and I think for the first time maybe Alecia and the other women started to understand a little bit of what we'd gone through over there." Only days after coming home from Seven Springs, however, Norris fell into a depression so severe that he was unable to work or leave the house for nearly a month. ..."I didn't answer the phone, I didn't go to the door, I didn't even want to see my kids," he said. "I just lay on the couch rolled up in an orange caftan. It got so bad my father started coming over every day and forcing me to get up. He would just walk me around the neighborhood to get some fresh air." A few days before, Norris decided that his crash was caused by a new antidepressant the V.A. had put him on, and he had quit cold turkey. Almost instantly, he told me, he felt much better. "Thank God I quit that stuff," he said. "I feel like I've got my life back again." Although he certainly looked well and seemed in high spirits, it appeared that his depression had given way to a mood that tilted toward the other end of the spectrum. In the middle of recounting one harrowing experience he had in Baiji, he abruptly told me that he was thinking of trying to go back over to Iraq. In fact, a number of Alpha Company guardsmen had told me of their desire to return to Iraq — some out of boredom with civilian life, others for more prosaic motives. Ron Radaker, for example, had actually done far better financially in Iraq than in his civilian life, where he was pulling down $10.30 an hour as a steel melter in his factory job in East Butler; now that he was home, the bills were mounting and the creditors were calling. Money wasn't Norris's motivation, though. "I'm thinking that if I go back, it might really help me put this PTSD stuff in perspective, let me get past it," he explained. I glanced at Alecia. She bore a vaguely worried expression, but beyond that, I couldn't gauge her stand on this idea. As diplomatically as possible — because Norris seemed rather enthused — I replied that from my own experience reporting in war zones and interviewing soldiers, repeated exposure to terror tended to make stress-related problems worse, not better. Norris nodded thoughtfully at this, as if it were a possibility he hadn't really considered. Please read the rest; and email the New York Times to thank them for this important coverage. A paper committed to truly supporting our veterans! Yesterday, a passionate editorial from the Des Moines Register Star appeared -- the paper that ran an incredible series of reports last weekend on combat PTSD. The editorial board says that every single recently-returned combat troop interviewed for their series said they are afraid to ask for help (for example, via VA programs) out of fear that the decision would affect their careers. The paper is calling for mandatory counseling of some sort for returning troops -- echoing the sentiments of many military families who've been witnessing the destruction of untreated combat PTSD. After the Vietnam war, some psychiatrists argued that features specific to that war, such as not being able to distinguish friends from enemies, extreme violence and unclear military goals, made it especially likely that soldiers would have long-lasting psychiatric problems. Some doctors called it "post-Vietnam syndrome." Now American soldiers are involved in another war, this time in Iraq. A war of extreme violence. A war where it's difficult to know whether an approaching child is an innocent victim or a suicide bomber. A war in which political and military goals are intertwined. Thousands of soldiers are returning home from Iraq and Afghanistan with symptoms of post-traumatic stress disorder, an ailment resulting from exposure to the threat of serious injury or death. Symptoms can include nightmares, flashbacks, withdrawn moods and emotional numbness. But too few soldiers are seeking help for their problems. A recent report by the Government Accountability Office found that only about 20 percent of soldiers considered at risk for post-traumatic stress disorder had been referred for further treatment. In Iowa, new veterans number more than 9,125, but fewer than 2,000 have enrolled for veterans' benefits, which include mental-health treatment. That's about 21 percent, which is lower than the national average of veterans accessing benefits. Yet military officials insist help is available. 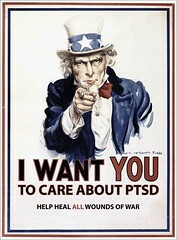 Group therapy for veterans of the wars in Iraq and Afghanistan is offered weekly at the Des Moines VA Medical Center. One person has attended. In a survey given to reservists, there is a space to put your name and request help. The director of the U.S. Army Reserve's family programs in Iowa told the Register no one has asked for help. Every single soldier Register reporter Jennifer Jacobs interviewed for Sunday's articles on post-traumatic stress disorder told her the same thing: They fear getting help because doing so may harm their military careers. That indicates a problem in the tone being set by the military. Commanders must send a clear message that seeking help for post-combat stress is not only OK, it's encouraged. In fact, soldiers should be told that not getting help for psychological problems may jeopardize a soldier's future career. All branches of the military also should consider mandating that soldiers report for group therapy and counseling on a regular basis after they return home. If everyone has to attend, those who need help won't feel singled out. Required attendance at support meetings or counseling would help remove any stigma that accompanies post-traumatic stress disorder. War is a series of horrific events. The experience can trigger problems in previously well-adjusted individuals. Indeed, it's hard to imagine anyone not being affected by exposure to extreme violence and threats to their lives. Soldiers should be no more afraid to seek counseling than someone who lost a leg. The tone must be set that the mark of true bravery comes in seeking help, not suffering in silence. Please email the Des Moines Register Star, and let them know that you appreciate their solid support of our troops on this issue. This a refreshing and much needed attitude. Bravo to them! Little acts of kindness make life a lot more enjoyable; stories of the goodness found in others can also be a tonic when you're feeling down about the world around you. (And who doesn't feel that way from time-to-time?) From the website, "Our mission is to publish examples of people being good to each other, to inspire similar heroic actions in others." If you're looking for a little brightness in your day, you might consider subscribing to HeroicStories (an email subscription is free). And I know many of you out there who've worn our nation's uniform have many a story of heroism to share with us; I highly recommend adding yours to the beautiful chorus at HeroicStories. According to the Department of Defense (DoD), 11% of those serving in Operation Enduring Freedom (OEF) and Operation Iraqi Freedom (OIF) are women. Officially, they are restricted to non-combat roles; however, in wars such as that being waged in Iraq, there are no front lines. Combat roles or not -- they are in the thick of things. Last week, the Chicago Tribune covered how war has lingered with some of the women returning home. I'll round things out by reposting a related January commentary of mine which appeared online before PTSD Combat was up and running. An unsettling and serious breach of personal data security has been reported today by the VA. Due to an employee's disregard for VA rules coupled with a home burglary, personal information (including the Name, Social Security Number, and Birth Date) of U.S. veterans who have been discharged since 1975 may be compromised. Details follow in a letter released by the VA, along with a list of frequenty asked questions on the matter. The Department of Veterans Affairs (VA) has recently learned that an employee took home electronic data from VA, which he was not authorized to do and was in violation of established policies. The employee's home was burglarized and this data was stolen. The data contained identifying information including names, social security numbers, and dates of birth for up to 26.5 million veterans and some spouses, as well as some disability ratings. As a result of this incident, information identifiable with you was potentially exposed to others. It is important to note that the affected data did not include any of VA's electronic health records or any financial information. Appropriate law enforcement agencies, including the FBI and the VA Inspector General's office, have launched full-scale investigations into this matter. Authorities believe it is unlikely the perpetrators targeted the items because of any knowledge of the data contents. It is possible that they remain unaware of the information which they possess or of how to make use of it. Out of an abundance of caution, however, VA is taking all possible steps to protect and inform our veterans. While you do not need to take any action unless you are aware of suspicious activity regarding your personal information, there are many steps you may take to protect against possible identity theft and we wanted you to be aware of these. Specific information is included in the attached question and answer sheet. For additional information, VA has teamed up the Federal Trade Commission and has a website http://www.firstgov.gov/ with information on this matter or you may call 1-800-FED-INFO (1-800-333-4636). The call center will operate from 8 a.m. to 9 p.m. (EDT), Monday-Saturday, as long as it is needed. We apologize for any inconvenience or concern this situation may cause, but we at VA believe it is important for you to be fully informed of any potential risk resulting from this incident. Again, we want to reassure you we have no evidence that your protected data has been misused. We will keep you apprised of any further developments. The men and women of VA take our obligation to honor and serve America's veterans very seriously and we are committed to seeing this never happens again. 1- I'm a veteran, how can I tell if my information was compromised? At this point there is no evidence that any missing data has been used illegally. However, the Department of Veterans Affairs is asking all veterans to be extra vigilant and to carefully monitor bank statements, credit card statements and any statements relating to recent financial transactions. If you notice unusual or suspicious activity, you should report it immediately to the financial institution involved and contact the Federal Trade Commission for further guidance. 2- What is the earliest date at which suspicious activity might have occurred due to this data breach? The information was stolen from an employee of the Department of Veterans Affairs during the month of May, 2006. If the data has been misused or otherwise used to commit fraud or identity theft crimes, it is likely that veterans may notice suspicious activity during the month of May. 3- I haven't noticed any suspicious activity in my financial statements, but what can I do to protect myself and prevent being victimized by credit card fraud or identity theft? The Department of Veterans Affairs strongly recommends that veterans closely monitor their financial statements and visit the Department of Veterans Affairs special website on this, http://www.firstgov.gov/ or call 1-800-FED-INFO (1-800-333-4636). 4- Should I reach out to my financial institutions or will the Department of Veterans Affairs do this for me? The Department of Veterans Affairs does not believe that it is necessary to contact financial institutions or cancel credit cards and bank accounts, unless you detect suspicious activity. 5- Where should I report suspicious or unusual activity? Step 3 -- File a police report with your local police or the police in the community where the identity theft took place. Step 4 -- File a complaint with the Federal Trade Commission by using the FTC's Identity Theft Hotline by telephone: 1-877-438-4338, online at www.consumer.gov/idtheft, by mail at Identity Theft Clearinghouse, Federal Trade Commission, 600 Pennsylvania Avenue NW, Washington DC 20580. 6- I know the Department of Veterans Affairs maintains my health records electronically; was this information also compromised? No electronic medical records were compromised. The data lost is primarily limited to an individual's name, date of birth, social security number, in some cases their spouse's information, as well as some disability ratings. However, this information could still be of potential use to identity thieves and we recommend that all veterans be extra vigilant in monitoring for signs of potential identity theft or misuse of this information. 7- What is the Department of Veterans Affairs doing to insure that this does not happen again? The Department of Veterans Affairs is working with the President's Identity Theft Task Force, the Department of Justice and the Federal Trade Commission to investigate this data breach and to develop safeguards against similar incidents. The Department of Veterans Affairs has directed all VA employees complete the "VA Cyber Security Awareness Training Course" and complete the separate "General Employee Privacy Awareness Course" by June 30, 2006. In addition, the Department of Veterans Affairs will immediately be conducting an inventory and review of all current positions requiring access to sensitive VA data and require all employees requiring access to sensitive VA data to undergo an updated National Agency Check and Inquiries (NACI) and/or a Minimum Background Investigation (MBI) depending on the level of access required by the responsibilities associated with their position. Appropriate law enforcement agencies, including the Federal Bureau of Investigation and the Inspector General of the Department of Veterans Affairs, have launched full-scale investigations into this matter. 8- Where can I get further, up-to-date information? The Department of Veterans Affairs has set up a special website and a toll-free telephone number for veterans which features up-to-date news and information. Please visit http://www.firstgov.gov/ or call 1-800-FED-INFO (333-4636). In a memo dated May 9 and obtained by CNN, Lt. Gen. Kevin Kiley said the film "shows the ravages and anguish of war. Those who view this documentary may experience many emotions," he said in the memo. 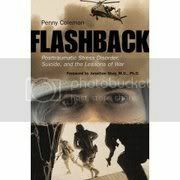 "If they have been stationed in Iraq, they may re-experience some symptoms of post-traumatic stress, such as flashbacks or nightmares." ... "This film will have a strong impact on viewers and may cause anxiety for some soldiers and family members." A big pat on the back to the locals, yet again, for doing an outstanding job of covering the combat PTSD story. This weekend, it's The Des Moines Register's turn. They deliver a massive amount of reporting on the experiences of Iowa's returning combat troops coping with PTSD in not one, but 6 articles (2 are web exclusives). 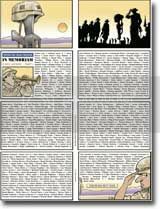 Start with PTSD: Soldiers in Distress, and then navigate to the other articles from the page's left-hand column (labeled 'related stories'). It's a jarring image: A U.S. flag flies upside-down outside Terri Jones's home. It's a distress signal she took straight from the federal flag code - and it's her way of calling Iowans' attention to what she believes is an unfolding crisis of post-traumatic stress disorder among Iraq and Afghanistan veterans. One of its victims, she said, was her son, Jason Cooper, 23, who took off his dog tags, fastened a noose, and stepped off a chair. "Our soldiers are being failed," said Jones, who lives outside Russell. "I'm extremely proud of our soldiers. They responded to the call to duty. They're willing to do anything for that American flag, but what that American flag stands for is not willing to do anything back for them." Aid for returning veterans has become a hot-button issue across the country, with Democratic politicians and veterans' advocates crying for better detection and treatment of combat-related mental health problems. But military and Veterans Affairs officials in Washington, D.C., and in Iowa say they have to practically beg troops to take advantage of the unprecedented help that's already offered. "We're out there in their faces. We insist. We give them examples. We're all there for them," said Victor Tate, a VA outreach specialist in Iowa. "At no time in the history of America has more attention been paid to veterans." Having the deepest respect for the work being done by the individuals at the VA across the country, I still bristle a bit at this statement. The VA or the DOD do not insist; true insistence would include required debriefing programs following combat. Much like boot camp is required to teach a soldier to fight, many military families who've lost loved ones to suicide following deployment (including the Omvigs introduced later in the article) say the military should also be required to teach the soldier to live in peace again once they return home. No one knows exactly how many Iowa service members suffer from combat-related mental health issues. But when the family of 22-year-old Grundy Center resident Joshua Omvig, another Iraq veteran who committed suicide in Iowa, created a Web site (http://joshua-omvig.memory-of.com) with a clearinghouse of PTSD information, it had more than 14,430 hits in four months. And the e-mails and message posts from service members about failing relationships, job troubles, assaults and thoughts of suicide led Ellen and Randy Omvig to believe problems with untreated PTSD run deeper than Iowans might have guessed. Studies show that between 12 percent and 20 percent of troops returning from Iraq and Afghanistan have symptoms of post-traumatic stress disorder. That could mean that as many as 2,000 Iowans - with more than 9,000 Iraq or Afghanistan veterans living here, and at least 1,249 more currently serving in the Middle East - are suffering now or could develop symptoms. Families like Ellen and Randy Omvig and Terri Jones are asking: If the psychological trauma of combat has ruined soldiers' lives following every war, why haven't military and Veterans Affairs officials learned how to treat it yet? "We can treat it," said Paula Schnurr, deputy executive director of the VA's National Center for Post-Traumatic Stress Disorder, which opened 17 years ago in response to a Congressional mandate to address military-related PTSD. "We don't have all the answers, but we can help a number of people substantially. The earlier the treatment, the better." Yet the stigma against reaching out is deep and sure. Military officials admit more needs to be done to help service members' overcome their reluctance to get treatment. When returning reservists report after 90 days for their first post-combat drill, they have to fill out an anonymous risk assessment survey. There's a space where they can reveal their names and request help, but so far, no one has done that, said Travis Bartholomew, director of the U.S. Army Reserve's family programs in Iowa. Both of Iowa's post-combat suicide victims were soldiers in the Army Reserve. "It's on us to keep up the marketing," Bartholomew said. "We have to get to the families. Families, please, please, if you see something going on, call." Therapists are available for Iowa's veterans - and some are underused, VA officials said. Group therapy exclusively for Iraq and Afghanistan veterans with post-traumatic stress disorder is offered weekly at the Des Moines VA Medical Center. Only one person has shown up. "Their opinion is they're doing fine. They don't need any help," said Patrick Palmersheim, executive director of the Iowa Department of Veterans Affairs. The Reserve realized it wasn't doing enough for unmarried soldiers, so it now holds weekend retreats to talk about everything from emotions to job skills, Bartholomew said. And it sends staff members called "soldier and family life consultants" to mingle with the soldiers as they do their duties and to ask how they're doing. Meanwhile, one of the Iowa Army National Guard's tools for dealing with combat stress is a one-day workshop called Enduring Families. It used to be optional any time during soldiers' first three months back; it's now required at 90 days. The Iowa National Guard is so serious about soldiers' well-being that the staff even does interventions, said Becky Coady, a family programs assistant. They've done at least 50 in two years, gathering with families to convince the soldier to get help "before everybody is hurt, emotionally and physically," she said. There are no repercussions for getting help with PTSD, said Lt. Col. Todd Jacobus, commander of the 224th Engineer Battalion. "To say, 'It'll affect my career,' that's a cop out," he said. "There are people hungry to help them. "Our soldiers' failure to pursue assistance is something they've made a decision to do on their own. It's the wrong decision." As I end by applauding the Des Moines Register for their excellent reporting on this issue, the idea forwarded by Lt. Col. Jacobus of blaming the soldier or the military family for not pursuing assistance is unsettling. We can do better than this, can't we, as a nation? Snapped by embedded Los Angeles Times photographer Luis Sinco, tagging along with Charlie Company, 1st Battalion, 8th Marines in Fallujah on November 9, 2004, this photo would run in 100 newspapers worldwide. The Times gives us an update on how the iconic Marine is doing. Through both a new article, and a photo gallery, you'll peer into Lance Corporal James 'Blake' Miller's life as he fights his latest battle -- with PTSD. All my best to him. He survived a harrowing all-night firefight in November 2004, pinned down on a rooftop by insurgents firing from a nearby house. 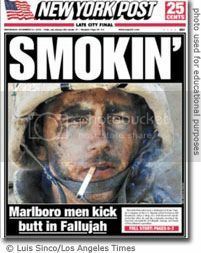 Filthy and exhausted, he had just lighted a Marlboro at dawn when an embedded photographer captured an image that transformed Blake into an icon of the Iraq war. His detached expression in the photo seemed to signify different things to different people — valor, despair, hope, futility, fear, courage, disillusionment. For Blake, the photograph represents a pivotal moment in his life: an instant when he feared he would never see another sunrise, and when his psychological foundation began to fracture. A year after the photo spread like wildfire around the world, Miller would receive an early but honorable discharge from the military due to his PTSD. He feels adrift and tormented, dependent on his new bride, his family and his military psychiatrist to help him make sense of all that has befallen him. He barely sleeps. On most mornings, Blake says, he has no good reason to get out of bed. Often, his stomach is so upset that he can't eat. He has nightmares and flashbacks. He admits that he's often grouchy and temperamental. He knows he drinks and smokes too much. "He's not the same as before," said Blake's wife, Jessica, who has known him since grade school. "I'd never seen the anger, the irritability, the anxiety." Blake says he feels guilty about taking money — $2,528 in monthly military disability checks — for doing nothing. Yet he's also frustrated that two careers made possible by his military training, police officer or U.S. marshal, are out of reach because law enforcement is reluctant to hire candidates with PTSD. So he broods, feeling restless and out of options: "I'm only 21. I'm able-bodied as hell, yet I'm considered a liability. It's like I had all these doorways open to me, and suddenly they all closed on me. It's like my life is over." The article goes on the document a recent trip to a restaurant with this wife; although he was able to control it, Miller admits he became enraged when he believed a man was was looking at his wife Jessica's bottom. Jessica, who graduates this spring from Pikeville College with a psychology degree, has persuaded her husband to undergo visualization techniques in which she helps him confront his demons. "It's understandable that Blake has PTSD, after all he's been through," she said. "Ordinary people can't comprehend what it's like to be constantly shot at and have to kill other human beings. They need to know what it means to send people like Blake out to fight wars. You're going to have a lot of people breaking." Five other members of his platoon of about three dozen have been diagnosed with PTSD, Blake said. A dozen men from his unit were killed in action. A Journal of the American Medical Assn. study published in March found that more than a third of troops who served in Iraq sought help for mental health problems within a year of returning home. After offering more details on how the photo itself was snapped and made its way into the history books, the piece then moves on to reveal how Miller's PTSD made itself known in the days following his return home. In early January 2005, as Blake's unit prepared to leave Iraq, what Marines call a "wizard" — a psychiatrist — gave a required "warrior transitioning" talk about PTSD and adjusting to home life. Blake didn't think much about it until he returned to Jonancy in late January and his nightmares began. He dreamed about the 40 enemy corpses that he counted after the tank demolished the house, he said, and that he had been shot. "He'd jump out of bed and fall to the floor," Jessica said. "I'd have to hold him to get him to wake up, and then he'd hug me for the longest time." Sometimes, Blake mutters Arabic phrases he learned in Iraq or grimaces in his sleep, and Jessica will keep whispering his name until he wakes up. Some nights, he doesn't sleep at all. "I tend to drink a lot just to be able to sleep," Blake said. "Nothing else puts me to sleep." He decided last summer to see a military psychiatrist at Camp Lejeune, N.C., where he was based. In August, he was diagnosed with PTSD. But before he could be put on "non-deployable status," his unit was sent to New Orleans to assist with Hurricane Katrina recovery. While aboard a ship off the Louisiana coast, Blake was taking a cigarette break when a petty officer made a whistling sound like an incoming rocket-propelled grenade. Blake says he remembers nothing about the incident, but was later told that he slammed the officer against a bulkhead and attacked him. By November, Blake was forced to take a medical disability discharge. "They said they couldn't take the risk of me being a danger to myself and others," he said. He fears that he may have another blackout. "It's terrifying that at any moment I could lose control and not know what I'm doing," he said. "What if next time it's Jessica?" He suffers from flashbacks along with his nightmares (flashbacks are images that appear 'real' in the person's mind while awake). This February, while smoking a cigarette and staring out Jessica's dorm room window, Blake said, he thought he saw a dead Iraqi man on the grass. Later, he had visions of an Iraqi father and son fishing — a scene he'd witnessed in Iraq just before a grenade exploded nearby. "I can't tell anymore what really happened and what I dreamed," he said. "Sometimes I feel like I'm dying." Blake visits a Veterans Administration psychiatrist in nearby West Virginia and speaks with him by phone several times a week. He said his psychiatrist told him that his PTSD has to be managed; his disability will be reevaluated in March 2007. Meanwhile, he has slowly turned against the war. "We've done some humanitarian aid," Blake said, "but what good have we actually done, and what has America gained except a lot of deaths? It burns me up." Jessica, who sports an "I Love My Marine" sticker on her car, says she and Blake are behind the troops though they no longer support the war. The piece moves on to describing the Kentucky community in which Miller grew up, then closes with Miller reflecting on things. For Hillbilly Days, an annual street festival late last month in Pikeville (pop. 6,304), Blake shaved his scruffy beard and got a military "high and tight" haircut. He agreed to help at a Marine Corps recruiting booth at the festival. Just putting on his Marine fatigue pants and boots for the first time since his discharge brought back more memories, and he tried to tamp them down. He was so worried that the Marlboro Man photo would dominate the recruiting booth that he begged the recruiters not to display it. He also persuaded them to remove a large version of the photo that had hung in the recruiting station in downtown Pikeville. "I can't stand to look at it anymore," he said. Even so, he says the photo has provided him a platform to try to educate others about PTSD. At the festival, Blake's mood brightened as he chatted with the recruiters. Wearing a Marine T-shirt with the message "Pain Is Weakness Leaving the Body," he was cheerful and animated. He playfully harangued young men, challenging them to a pull-up contest. Though he has turned against the war, he said, he often wishes that he was back in the Corps and with his buddies. He still recommends the Corps to potential recruits, but advises them that it's a job, not a way of life. He recommends noncombat positions. "In order to do your job in combat, you have to lock up your emotions," he said. "Basically, you're turning people into killers." Please consider thanking the Los Angeles Times for their coverage of this important issue. We need more of this kind of reporting to get more engaged and ready to advocate for our returning troops. In answer to last weekend's revealing Hartford Courant piece reporting that the DOD was returning troops suffering with posttraumatic stress disorder back into the combat zone, anti-anxiety medications in hand, the Courant now reports that Senator Barbara Boxer has sent a letter to Secretary of Defense Donald Rumsfeld. Senator Joe Lieberman has also come out publicly to ask for an investigation into these charges. U.S. Sen. Joseph I. Lieberman called Wednesday for a federal investigation of mental health screening for troops deploying to Iraq, after The Courant reported in a series that mentally ill service members are being sent to war and kept there, sometimes with tragic consequences. Also Wednesday, U.S. Sen. Barbara Boxer, D-Calif., sent a letter to Secretary of Defense Donald Rumsfeld expressing "disgust" at a revelation in the series that the military was sending troops with post-traumatic stress disorder back into combat. "You cannot simply have doctors prescribe psychiatric drugs such as Zoloft and send these men and women back to a combat zone," Boxer wrote. "No matter what the Defense Department's recruiting shortfalls, it is absolutely immoral to send soldiers who have been diagnosed as suffering from PTSD back into a combat zone." Lieberman, a member of the Senate Armed Services Committee, sent letters Wednesday to the Government Accountability Office and the inspector general of the Defense Department, asking each agency to investigate the military's pre-deployment screening practices. Lieberman said he was particularly concerned by The Courant's finding that among troops who indicated a possible mental health problem, only 6.5 percent were referred to a mental health specialist before they were deemed deployable. "Clearly, our soldiers are experiencing unusually high levels of stress," Lieberman wrote in his letter to the inspector general, "but if the military is doing an inadequate job of assessing the severity of mental health problems in those deploying, and then placing them in further danger, their lives are [at] greater risk." Lieberman, D-Conn., said Wednesday that he was also "exploring legislative options" to improve mental health screening for troops, which consists of one question on a self-reported questionnaire. "We put our faith in the men and women of our armed services to protect us every day; they should expect and deserve to have the same faith in us," Lieberman said. The Courant's investigation, he added, "reveals that the deployment system's faulty implementation of mental health screening has betrayed the trust of our soldiers and their families. This is unacceptable and inexcusable." Assistant Secretary of Defense for Health Affairs, William Winkenwerder Jr., this week defended the practices of the DOD regarding mental health screening and treatment provided to its combat troops. Army Surgeon General Kevin C. Kiley also defended current practices, adding that he would support additional screening, "if we have evidence it would make a difference." U.S. Rep. Rosa DeLauro, D-3rd District, who has pushed for the military to conduct face-to-face mental health evaluations of returning troops, said Wednesday she believed using a questionnaire for pre-deployment screening may be inadequate as well. "If they self-report, you're never going to get a full [mental health] assessment," DeLauro said. "You've got to see them when they're going in; you've got to see them when they're going out." DeLauro said she was also concerned by The Courant's findings that the military was relying increasingly on the use of antidepressants in the war zone, sometimes with minimal counseling and monitoring. Antidepressants carry government warnings about a risk of side effects, including increased suicidal urges, when they are first prescribed. "We've now established a link between antidepressants and suicide. We know you have to strictly monitor them," she said. "Who's making that assessment [in the combat zone]?" The military also uses a self-reported questionnaire to assess the mental health of troops completing tours in Iraq - a practice some say fails to detect PTSD and other combat-related disorders. "We can't be satisfied with questionnaires," Sen. John Kerry, D-Mass., said Wednesday in a statement. "We need to give our troops and our veterans hands-on care, no matter what it costs." The Hartford Courant does it again. Great reporting. The U.S. Defense Department should move quickly to deal with problems highlighted in a report on how it handles troops at risk from post-traumatic stress disorder. The recent report [pdf] by the Government Accountability Office, first revealed by the Kansas City Star, pointed out a worrisome problem with current policy: Pentagon officials couldn't clearly define how medical personnel decide whether troops at risk for the disorder need more treatment. The Defense Department agreed that such criteria should be clear. But officials disputed a related GAO finding, which asserted that Pentagon officials were unable to verify that all troops needing such care actually get it. Pentagon officials say the amount of care delivered is actually more extensive than the GAO findings suggested. Help comes "in a variety of ways," said William Winkenwerder Jr., assistant secretary of defense for health affairs. But if officials can't say how doctors determine whether at-risk troops need treatment — something the Pentagon admits — it's not clear how they can know whether troops are getting the help they need. As the Star has reported, Defense Department officials have underestimated how many troops were expected to return from combat in Afghanistan and Iraq with stress disorder. And a key finding of the recent GAO report said only 22 percent of soldiers considered at risk for post-traumatic stress disorder had been referred for further treatment. The disorder is the combat veteran's most common mental health problem. It can cause nightmares, anxiety and flashbacks — and it can severely undercut a veteran's ability to readjust to civilian life. The Pentagon has a lot of work to do in this area. Thank you, Kansas City Star for your strong backing of our troops on this one. Salute Our Heroes Job Fair, 11-5, Wednesday (May 17, 2006) at the Navy Pier Grand Ballroom, 600 E. Grand Ave., Chicago. More info/pre-registration. Slots for employers at Thursday's job fair are filling faster than ever, largely because of the spotlight thrown on veteran unemployment by the Daily Southtown and other papers in the Southtown's publishing group, said Jim Jazo, executive director of the Veterans Outreach Program. "Most people are wonderful in this country," he said. "All they needed was a little reminder from the media to step up and make it happen." Veterans Outreach is sponsoring the job fair at West Side Technical Institute [on] Thursday. More than 2,000 veterans attended last year's fair. The response has been even greater this year, Jazo said. For the first time in the decade-plus he's been coordinating the fair, all the employer booths were filled a week before the event, he said. The 65 booths will be manned by both blue-collar and white-collar companies, including FedEx, LaSalle Bank, five security firms and seven police departments. Returning veterans, however, must do a better job of showing how their military skills translate in the civilian world, Enelow said. That's why the Salute Our Heroes job fair not only will offer employer booths, but also seminars on writing resumes, succeeding in a job interview and starting your own business. "There is such a huge need in this market," said Enelow, who is speaking at the job fair. "They need to know how to show all they've done." Don't forget to bring a photo ID, your discharge papers, and plenty of resumes. Good luck if you head out to either! Continuing in the footsteps of its local media peers, The Waterloo/Cedar Falls [IA] Courier delivers an informative bit of reporting highlighting the unique flavor of combat found in Iraq vs. that of other battlefields in history. In war, bad things happen. That is unchanged throughout history. Just as surely, each confrontation introduces twists previously unimagined. "Every conflict has unique departures from the conventional definition of what warfare is," says Martin Edwards, a counselor in Cedar Falls. World War I offered chemical weapons --- chlorine and mustard gas. World War II conjured the kamikaze pilot, concentration camps and the atomic bomb. And now there is Iraq, which offers unusual conditions all its own. High on the list is the fact soldiers must maintain an unprecedented degree of vigilance. The idea of a front is archaic. Battle can occur anywhere. Improvised explosive devices and other acts of terrorism --- including kidnapping --- threaten everywhere. "One of the things coming out of this particular war is that the enemy is particularly hard to find, even more so than Vietnam," says Edwards, a military veteran of that era. Consequently, troops have no place to let down their guard and are under constant stress. A study in 2004 found 62 percent of soldiers in Iraq said they encountered threatening situations but could not react as aggressively as wanted. One reason for restraint is concern about injuring or killing innocent bystanders. "There really was no safe place," says Ron DeVoll Jr. of Cedar Falls. More differences: an enemy who wears regular clothes; deadly convoys that in previous wars may have been relatively secure; and the statistic that 94% of Iraq veterans have come under small-arms fire while deployed. "There are no safe jobs if you're in the theater of operations," DeVoll says. Advances in technology to protect troops --- and in medicine to treat the wounded --- are welcome. However, one result in Iraq is the highest wounded to killed-in-action ratio in U.S. military history, according to a second study from 2004. Soldiers who died on the battlefield in previous wars are surviving. And those survivors are likely to face mental health issues, Edwards asserts. "If they have a traumatic injury, there's a real good chance they will have PTSD," he says. Brett Litz, an associate director at the National Center for Post-Traumatic Stress Disorder, explains the significance for witnesses, too. In an article on the center's Web site, Litz writes being part of violence and death raises the risk for anxiety, anger, aggressive behavior and post-traumatic stress disorder. In Iraq, a high percentage of troops are engaging the enemy. Research, according to Litz, shows 77 percent of soldiers in Iraq fired a weapon in combat. About 50 percent killed an enemy. And about 30 percent claimed responsibility for killing a bystander. "New technologies have significantly increased the range, reduced the time and changed the conditions over which battles are fought," reads Field Manual 6-22.5, a document distributed by the U.S. Marine Corps. Machines allow combat at night and during inclement weather, periods soldiers in previous eras might have had time to rest. Mechanization, however, carries unintended consequences. "A Service member is not a machine and is, therefore, the weak link in the chain," the Marines' manual states. "The equipment can operate longer than the Service member who operates it, as the Service member must have sleep." DeVoll says during the 21-day race to Baghdad he routinely performed for up to 72 hours at a time without sleep. For 45 days he was unable to remove his chemical suit or bathe. In the end, DeVoll says medics removed his socks with scissors because they were imbedded in his flesh. "It's like you're a zombie. You're so burned out. You're there, but you are [not] there," DeVoll says. Litz writes about what he calls "the extensive and extended sacrifice made by soldiers, especially National Guard and reserve troops," as a unique factor in the war on terrorism. How guardsmen and reservists may react remains an open question, however. "Unfortunately, we don't know. But we can expect some difficulties," Litz said. He bases his opinion on the fact guardsmen and reservists train differently than active duty soldiers. And the fact those volunteers perhaps signed on under the assumption they would not face combat. "They're being asked to perform duties that they were not necessarily expecting. They're doing things they didn't bargain for," Litz says. "And that abrupt change in expectations and in their jobs is bound to be stressful." Readiness is also a concern. 40% of US forces in Iraq come from the Guard or Reserve; one problem this creates is lack of support for the service member upon their return to the states. Since they're not returning to a military base, it's easier for them to slip through the cracks. "They go back into the community and are not immersed in active-duty culture. It may be a recipe for additional post-traumatic burden," Litz says. On the positive side, troops in Iraq and Afghanistan enjoy support not seen during some recent conflicts, notably Vietnam. Studies in 2002 and 2003 maintain public opinion bolsters soldiers' attitudes and morale. Addressing the mental health issue among veterans, though, may prove difficult. Soldiers are reluctant to admit problems. Though about 80 percent of Iraq and Afghanistan veterans with a serious disorder acknowledge a problem, only about 40 percent want help, Litz reports. Soldiers fear a stigma they believe is attached to mental illness will hurt their careers, either in the military or the private sector. "The reality is mental health is stigmatized generally in our culture," Litz says. DeVoll is seeking treatment for post-traumatic stress disorder. "The hardest thing I've ever done was stepping on the path to getting help," he says. Besides facing family, friends and society, DeVoll says, soldiers also fear memories. "Because now you've got to talk about these things. You've got to let it out." Because of that, Edwards maintains, veterans who need counseling --- from World War II through Iraq and Afghanistan --- aren't seeking it. "No doubt about it," he says. As the war on terrorism progresses, Edwards predicts, post-traumatic stress disorder will play a role in increasingly large number of veterans' lives. "I can't imagine it not." Please contact the Courier to let them know you appreciate their coverage of this issue. We need to see more of this kind of reporting. To recognize those who carry the burden of worry during periods of war. "The level of our effort and our outreach is unprecedented," he said. "We have broken new ground." The Hartford Courant, citing records obtained under the federal Freedom of Information Act and more than 100 interviews of families and military personnel, reported numerous cases in which the military failed to follow its own regulations in screening, treating and evacuating mentally unfit troops from Iraq. In 1997, Congress ordered the military to assess the mental health of all deploying troops. The newspaper, citing Pentagon statistics, said fewer than 1 in 300 service members were referred to a mental health professional before shipping out for Iraq as of October 2005. Twenty-two U.S. troops committed suicide in Iraq last year, accounting for nearly one in five of all non-combat deaths and the highest suicide rate since the war started, the newspaper said. "I can't imagine something more irresponsible than putting a soldier suffering from stress on (antidepressants), when you know these drugs can cause people to become suicidal and homicidal," said Vera Sharav, president of the Alliance for Human Research Protection, a New York-based advocacy group. "You're creating chemically activated time bombs." 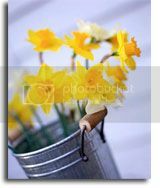 I posted on this issue on March 20th. At the time, the San Diego Union-Tribune reported that the DOD was reinserting troops back into the battlefield while prescribed anti-anxiety medications. Senator Barbra Boxer was, in turn, planning to address the controversy through the Department of Defense Task Force on Mental Health that was scheduled to get underway in April. Democratic California Sen. Barbara Boxer blasted the Pentagon again Tuesday for missing a deadline to appoint a task force to study troops’ mental health, saying the military faces a “mental health crisis.” Defense officials acknowledged they missed the April 7 target but said the panel is being assembled quicker than comparable task forces, and will be in place in coming weeks. Happen to catch that pattern? Again, the DOD responds that they're doing better than comparable task forces, so why are you complaining, Boxer? What's your hurry? The task force, mandated by Congress in December as part of the 2006 military spending bills, is designed to be an independent voice on how the services handle mental health treatment issues. The 14-member board will be half military personnel and half civilian appointees, several of whom will be medical experts. In a letter to Defense Secretary Donald Rumsfeld, Boxer called the delay in appointing the task force “abhorrent,” noting that post-traumatic stress disorder and related problems still are major concerns. She also pointed to 25 suicides among active-duty soldiers in Iraq and Afghanistan in 2005, up from 20 soldiers the year before. “I find it simply astonishing that the sheer magnitude of the mental health crisis facing our Armed Forces does not compel you to action,” she wrote. Again, what's your hurry, Boxer? It's just the mental health of our troops in the battlefield. No biggie! [O]fficials with Boxer’s office said the senator has not received any feedback from the DOD and won’t be satisfied until the task force meets for the first time. They also said even if the group begins meeting soon, the department already is about a month behind schedule. Task force members are required within a year of their appointment to submit a report to the defense secretary and Congress on a long-term plan on ways to improve the effectiveness of the military’s mental health treatments, including ideas for new education programs and medical services. The Army's top mental health expert, Col. Elspeth Ritchie, acknowledged that some deployment practices, such as sending service members diagnosed with post-traumatic stress syndrome back into combat, have been driven in part by a troop shortage. "The challenge for us ... is that the Army has a mission to fight. And, as you know, recruiting has been a challenge," she said. "And so we have to weigh the needs of the Army, the needs of the mission, with the soldiers' personal needs." Ritchie insisted the military works hard to prevent suicides, but said that is a challenge because every soldier has access to a weapon. Commanders, not medical professionals, have final say over whether a troubled soldier is retained in the war zone. Ritchie and other military officials said they believe most commanders are alert to mental health problems and are open to referring troubled soldiers for treatment. "Your average commander doesn't want to deal with a whacked-out soldier. But on the other hand, he doesn't want to send a message to his troops that if you act up, he's willing to send you home," said Maj. Andrew Efaw, a judge advocate general officer in the Army Reserves who handled trial defense for soldiers in northern Iraq last year. Since it's through politics -- via our legislators -- that programs, bills, and laws are made, making this issue a big part of our platform as we move forward is the surest way for us all to win. Co-sponsor the New GI Bill of Rights for the 21st Century Act, H.R. 2131, by clicking here. Contact your Senators in support of S. 11, the Standing With Our Troops Act. Contact Senator Boxer and let her know you've got her back! The Hartford Courant report is now up on their website (had to make do with the AP piece for the diary). It's an indepth article -- 5 pages long online -- so I would recommend everyone take a spin over to read through it if you're interested in this topic.